Is Reverse Mentoring the Key to Upskilling the Manufacturing Workforce? Is Reverse Mentoring the Key to Upskilling the Future Manufacturing Workforce? Reverse mentoring helps older generations benefit from the technical knowledge of younger workers. The rise of disruptive innovation proves that complacency is dangerous and that even the most established organizations can’t ride on their early successes forever. 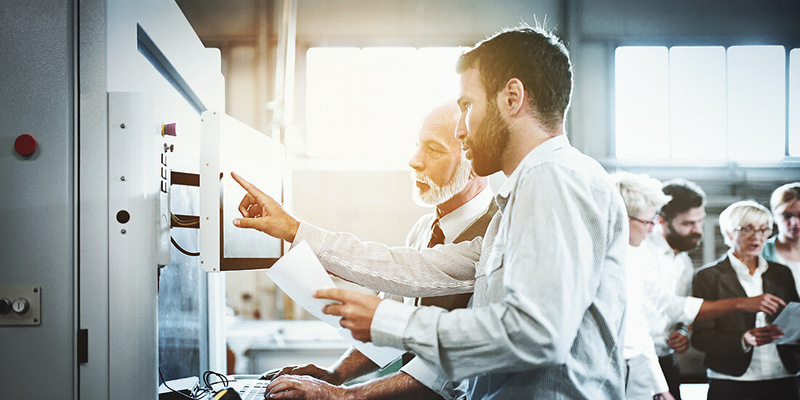 Conscious of this reality, Hosokawa Micron Ltd., a manufacturing company formed in 1989, has been upskilling its workforce through reverse mentoring, where older employees learn about the latest and greatest technology from new recruits. Likewise, applying the concept of neuroplasticity, you can teach an old dog new tricks; research shows that a life of continual learning changes the very nature of the brain. The UK-based company started hiring employees as young as 16 who initially didn’t even know what engineering was. The decision turned out to be mutually beneficial to younger and older generations alike. 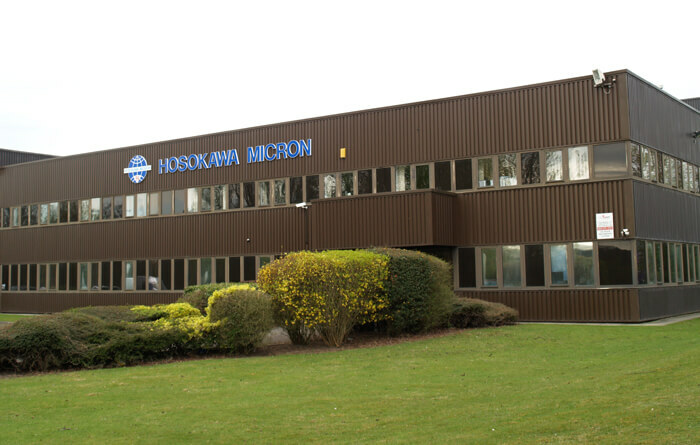 Reverse mentoring has helped Hosokawa Micron refresh its image and attract young employees. Courtesy Hosokawa Micron Ltd.
Hosokawa wanted to maintain productivity by eliminating any undermotivation, lack of purpose, job dissatisfaction, and disengagement from problem solving within its primary workforce (average age over 40). Seeking opportunities to energize its employees with a view of the future, management hoped the reverse-mentoring route would reverberate positive effects throughout the company—but there were no guarantees. Although it seemed counterintuitive, the benefits of reverse mentoring have been known for some time. It was popularized in the ’90s by former GE CEO Jack Welch, who asked 500 top managers in the company to reach out to young employees who could teach them how to use the Internet. During Welch’s time at GE, the company’s valuation was up by 4,000 percent, so the practice seemed worth trying. Through the reverse-mentoring program, Hosokawa matches older employees (up to 65 years old) to mentor younger employees on how to navigate the work environment and deal with people while the young mentors teach their older colleagues how to use technology to overcome their obstacles. Get the software that fuels innovative design. According to Crosley, younger mentors did not view the older employees’ obstacles as problems at all—though the younger cohort did expect to find the answers right away from the Internet. Although millennials are often chided for their short attention spans and multitasking tendencies, those are considered valuable skills at Hosokawa. In contrast, it’s a common challenge in the industry to convince employees to embrace new technology. Aside from the younger and older generations being able to learn valuable intangible lessons, reverse mentoring has even improved the company’s overall image. Thanks to the program, Hosokawa has been able to attract younger employees because of the reputation that it’s not just another company with old standards. In addition, there’s been higher engagement from the older employees. The younger generation at Hosokawa is more likely to turn to technological conveniences like tablets and the Internet to solve problems. Courtesy Hosokawa Micron Ltd.
Illustrating Hosokawa’s reverse-mentoring strategy, Crosley pointed to the project of building a new mill from existing 2D drawings. The task demanded a collaborative solution to build the best machine on time and within budget. 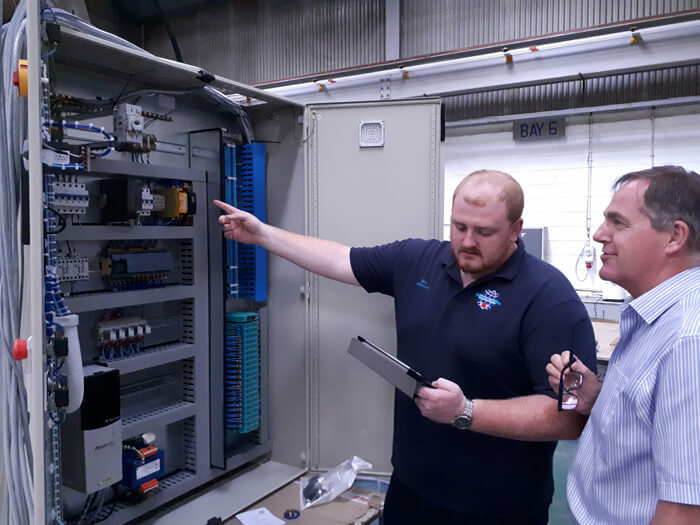 “It also delivered a real insight to how an established engineer with over 30 years’ experience and a 20-year-old apprentice in the engineering department would tackle the project—turning the task into a highly effective reverse-mentoring assignment and demonstrating a win-win result,” Crosley says. The older engineer drew on his massive experience and expertise and proposed making a rough check of the drawings before using rule-of-thumb guidance to spec parts and build a prototype mill. The prototype would need time in the workshop fitting parts together and fine-tuning. Conversely, the younger engineer preferred an automated design technology route: converting 2D drawings to a 3D model. Using clash detection, they could check the compatibility of the mill’s parts prior to producing a rendered model for ergonomic assessment. That way, he argued, no prototype mill would be required. Both engineers agreed that using new methods and techniques to overcome the 2D design problem lead to fewer costs; potentially shorter production time; and a more accurate, validated mill design. “In the end, both engineers had a better appreciation of each other’s skills and methodology and agreed that working around the design challenges delivered a heightened level of engagement and increased motivation from both engineers,” Crosley says. Reverse mentoring helped Hosokawa Micron save costs and production time on new machinery. Courtesy Hosokawa Micron Ltd. According to Crosley, the manufacturing landscape is changing, and the workforce will need to prepare for these looming shifts in the next five to 10 years to keep up. Automation threatens to take away heavy-lifting tasks and highly repetitive tasks, though a human still needs to build these machines extremely accurately. “A lot of these young people have lots of ideas of how this could be done better in terms of the techniques in the build and laser alignments and so on,” Crosley says. Whereas engineers previously needed one skill set—computing skills—they now need to be more disciplined and blend multiple skills to do their jobs. The good news is they can use modern technology to get more out of their jobs and be more efficient. Crosley says that as innovations in automation, virtual reality, and artificial intelligence advance and continue to integrate into manufacturing, the younger generation brings the understanding of those technologies while the older generation grooms the young people into effective employees.